For your wee one! 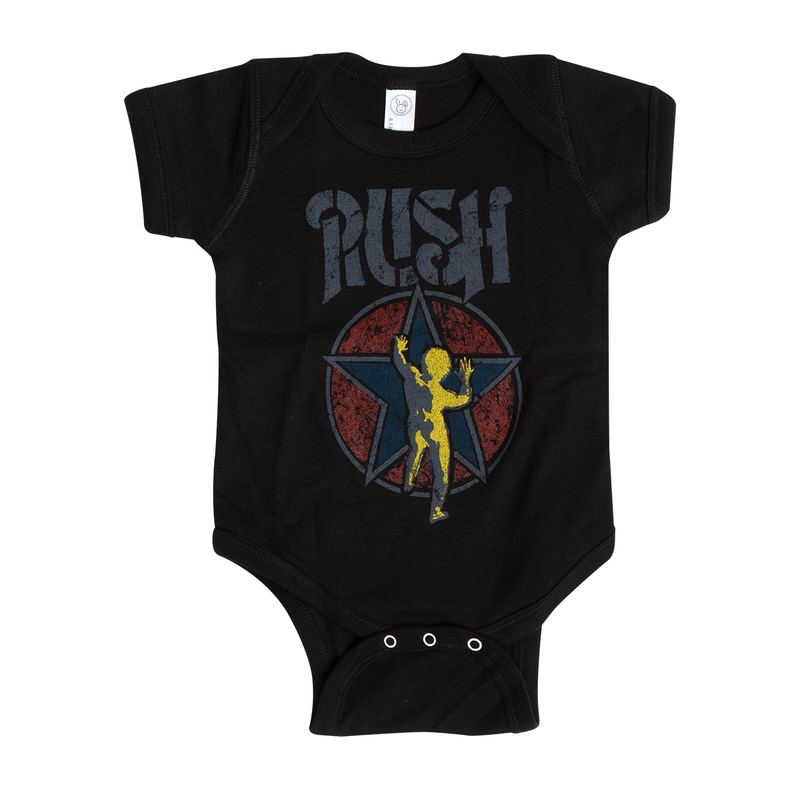 This adorable Rush Stencil Starman Baby Onesie can be your child's very first piece of Rush swag. Printed on a 100% knit cotton, black baby onesie.